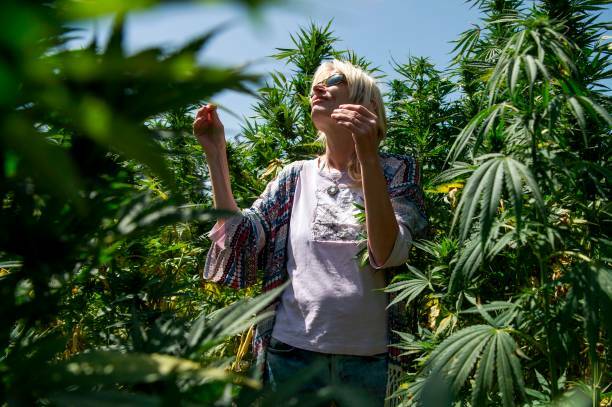 German tourist stands in a cannabis field near the town of Ketama in Morocco's northern Rif region on 13 September 13, 2017. Moroccan law bans the sale and consumption of the drug. But that hasn't stopped farmers in Ketama growing vast plantations of it, providing a living to some 90,000 households. Northern Morocco, a key production centre for hashish headed for Europe, has also seen an influx of European visitors eager to sample the region's weed. / AFP PHOTO. Marijuana remains illegal in most African countries, but many nations are keen to embrace cultivation as a way to boost their economies while enhance industrious pharmaceutical companies. Africa’s legal cannabis industry could generate more than $ 7.1bn a year if more of the continent’s major markets open up and follow the same trend of legalization seen in the US, Canada and Europe, according to a new report released on Thursday. 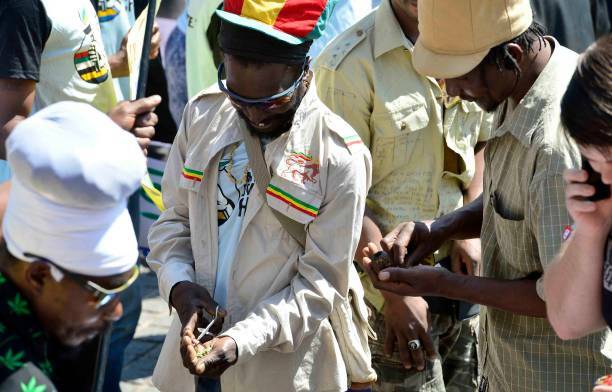 According to the report by Europe-based market intelligence and strategic consultancy firm, Prohibition Partners, while cannabis remains illegal in most African countries, many nations are keen to embrace cultivation as a way to boost their economies. “Cannabis is already widely grown and consumed across the continent with production currently standing at around 38,000 tons and consumption rates at 13.2%,” according to the report. According to a UN survey, more than 38,000 tons of cannabis is produced in Africa each year. However, African governments have not yet followed the trend of legalization seen in Europe and the Americas. God created grass man created GMOs! 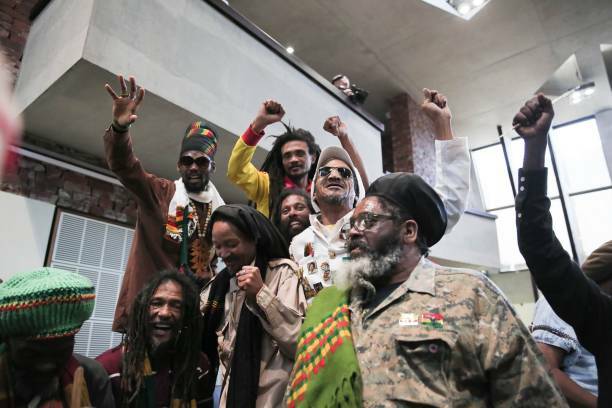 Only a handful of African countries have taken steps toward legalizing cannabis use, including SA, Lesotho and Zimbabwe, which recently approved its use for medical purposes, but recreational use is still illegal. 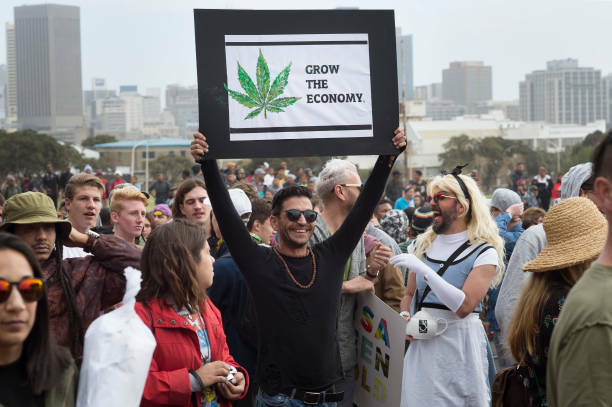 The report by Prohibition Partners says that while any path towards a legalized and regulated cannabis industry presents a number of significant challenges due to opaque laws and inconsistent enforcement, Africa’s climate, affordable land and low-cost labour offer enormous opportunities in a market which could exceed $7.1bn by 2023. The African Cannabis Report is the first detailed report on the legal cannabis industry in Africa and includes detailed market value forecasts, regulatory timeline analysis, consumption data and healthcare analyses for nine key markets, including Lesotho, SA and Zimbabwe. The report finds that these countries, and others across the continent, could generate significant economic benefits through developing legal cannabis markets. The report says the rise of indoor cultivation has meant that cannabis is mostly trafficked within the region where it is produced. While most of the cannabis produced in Africa is consumed locally, several countries, including Ghana, Nigeria, SA and Zambia, have identified European markets (primarily in the UK, Netherlands and Italy) as the possible final destinations for cannabis. Africa’s cannabis industry is also set to boost employment in the region. In Morocco, where the market is currently illegal (albeit officially tolerated for personal use only), the cannabis industry employs 800,000 people, according to the Morocco Network for Industrial and Medicinal Use of Cannabis.